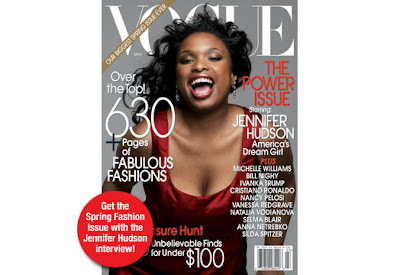 Congratulations to J.Hud for being the FIRST African American singer to grace the cover of "Vogue"... These photo's look awkward, I wish they could have done her beauty more justice. I agree with the awkward comment. So much more could have been done. BUT I really like this girl so congrats to her. I am so not feelin this chick...someone needs to teach her how to do interviews and be more humble or she is going to burn herself out really quickly!!! I love her and wish her much success. however, I wish someone would teach her how to pose. Keeping her mouth open is not attractive.......at all.